Ethiopia isn’t the kind of place that often pops up in lists of tourist destinations, but it’s a real African gem that’s worth exploring if you fancy venturing to the continent. There is breathtaking scenery here, which makes it absolutely perfect for trekking holidays. If you’re still undecided about whether Ethiopia is the place for you, read on to learn a bit more about its most beautiful attractions. For more comprehensive itineraries,visit this website. 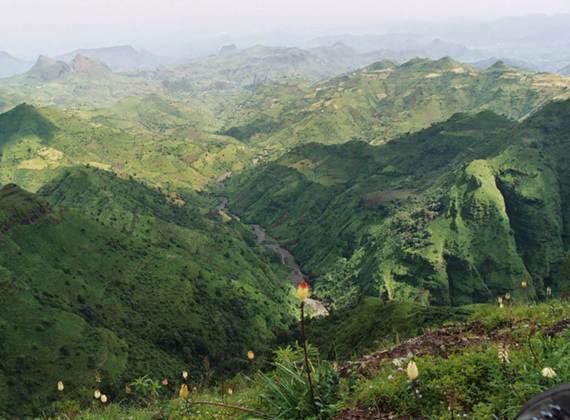 The Simien Mountains National Park is one of the best destinations in the country for hikers and nature lovers alike. This area of unspoilt natural beauty is truly stunning, with many peaks towering more than 4,000 m over the surrounding valleys and plains. This region is really off the beaten tourist trail and many of the villagers live very simple and traditional lives. A lot of the paths you’ll follow as you hike here have been created by locals moving from village to village with livestock – and these are likely to be the only other people you’ll see during your time here. As if that wasn’t enough to entice you, the area is protected as a UNESCO World Heritage Site and is home to an array of fascinating wildlife, including the endangered Gelada baboon, Simien fox and Wallia ibex. Gondar is a town located on a high plateau that was once the capital of the country. Although its political importance has diminished, it is home to some truly beautiful castles and monuments, many of which are part of a UNESCO World Heritage Site. The 16th and 17th centuries were when Gondar was at its strongest and it is the palaces, fortresses and churches from this era that are what make it so special. The Fasil Ghebbi complex is one of the best preserved and most striking, with this stone castle boasting wooden balconies and striking round turrets. There are several other buildings within in this walled complex, including the Library of Tzadich Yohannes and the Banqueting Hall of the Emperor Bekaffa. This is one of Ethiopia’s must-visit sights and it’s a real delight to explore these old buildings that have been so well preserved. Lalibela is another of Ethiopia’s gems – and it too is a UNESCO World Heritage Site. This town situated in the Lasta Mountains is one of the most important religious sites in all of Africa. What you’ll find when you arrive here is a series of rock-hewn churches on the mountains’ slopes. There are more than 200 of them in the region now, so this really is somewhere that deserves a bit of time to be explored. There are 11 places of worship that date from the medieval era, which are believed to have been constructed as a ‘New Jerusalem’ after Muslim conquests in the region prevented people from making the pilgrimage to the original holy land. These churches really do have to be seen to be believed – they were constructed by hand, with people carving out great stone monoliths, which were then shaped into churches complete with doors, windows and, in some cases, columns. Biete Medhani Alem shouldn’t be missed, as it boasts five aisles and is believed to be the largest monolithic church in the world.